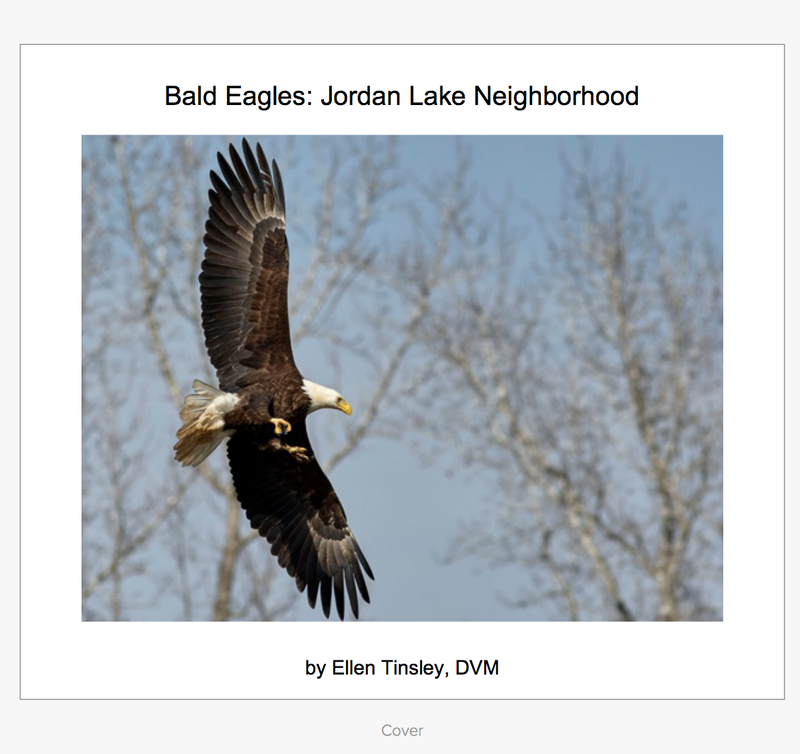 1st book is Bald Eagles: Jordan Lake Neighborhood. My exploration of the lives of the Bald Eagles of Jordan Lake. Photos and text are drawn from my field notes and photography at the lake as I followed bald eagles from fledglings to adults. 72 original photos (not published before) accompanied by explanations of the behavior and wonder of our National Symbol, the Bald Eagle. 144 pages Go here to preview or purchase. 2nd book is Stumpy: Great Blue Heron of Jordan Lake. 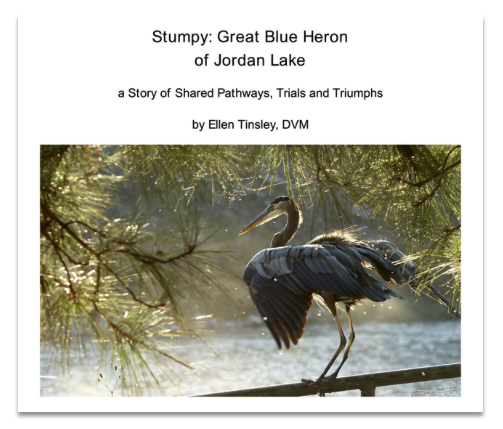 True story of the healing journey shared by Stumpy, a great blue heron of Jordan Lake, and me. Both Stumpy and I found ways to cope with injuries and continue to explore life. Contains 58 original photographs. 116 pages. Go here to preview or purchase. Posted in birds, Eagles of Jordan Lake, Jordan Lake, Jordan Lake State Park, photography, raptors, wild birds and tagged as American bald eagle, bald eagle, bald eagles of Jordan Lake, eagle, eagles of Jordan Lake, great blue heron, Jordan Lake, Jordan Lake State Park, raptor.